Leaders in solar technologies are some of the South-East Asian nations with China in the forefront, and the US. India trails way behind, adopting only those technologies it can afford after other countries have perfected them. On July 26, the solar-powered aircraft Solar Impulse 2 returned to Abu Dhabi, from where it had taken off 16 months ago, after circumambulating the globe. It was the first time an aircraft had done so without using a drop of fossil fuel. The feat was made possible primarily by the technologically superior Maxeon photo voltaic (PV) cells - manufactured by US-based SunPower - the aircraft used, a big advance over the average PV cells most solar power generating projects employ. The Maxeon PV cells with their copper foundation - as against the zinc or aluminum used by most - had an efficiency of 22.7 per cent, while other solar cells hover at 15-20 per cent. In June this year, SunPower claimed to have developed a still better and more resilient Maxeon cell, able to convert 24.1 per cent of sunlight received into energy. Its press release claimed it had eliminated 85 per cent of the reasons - corrosion, breakage, etc - for the failure of PV cells. SunPower's peers are not far behind. There are three kinds of technologies used to make PV cells - monocrystalline, polycrystalline and thin film. Monocrystalline cells were once believed to be superior - Maxeon cells are monocrystalline - while polycrystalline ones scored on lower cost. Most of the PV cells used globally are polycrystalline. But in November last year, China-based Trina Solar announced it had created polycrystalline PV cells with an efficiency of 21.25 per cent - higher than the average monocrystalline cell - which would enable it to make polycrystalline solar modules with efficiencies around 18-20 per cent. US-based SolarCity - recently acquired by Tesla Motors - too claims to have developed PV cells of 22 per cent efficiency. These are only the latest in a host of innovations in solar manufacturing in the past few years. Some of them, like the Maxeon cells, have improved quality while raising costs; others have drastically reduced costs. Prices of solar cells and modules have fallen steeply worldwide since 2009, to the extent that solar tariffs are now close to competing with thermal. But the leaders in these technologies are some of the South-East Asian nations with China in the forefront, and the US. India trails way behind, adopting only those technologies it can afford after other countries have perfected them. India has set itself an extremely ambitious goal of installing 100 GW of solar capacity by 2022. Its emphasis on solar energy increased sharply after the Narendra Modi government came to power in May 2014. India's current solar capacity is more than 8,000 MW, up from barely 160 MW in 2010 (and 2,632 MW in March 2014). 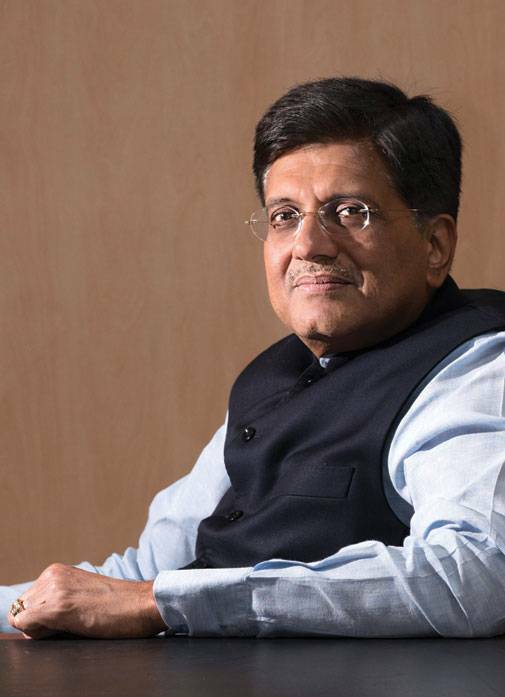 To achieve the 100 GW goal, India is expected to install 10,500 MW in the current fiscal. Project tenders for 20,766 MW have been issued so far, of which power purchase agreements have been signed for 8,482 MW. Around 25 solar parks are being set up, ultra mega solar power projects are being built; special projects have been announced to build solar plants atop canals (obviating the need for land) and distribute 100,000 solar pumps to farmers. Yet, India's manufacturing capacity remains woefully limited - only 2,800 MW panel manufacturing capacity and 650 MW cell manufacturing capacity is operational. Almost 95 per cent of the solar cells and modules currently being used by Indian solar developers are imported. Solar manufacturing has four main stages - manufacture of polysilicon, the basic material for solar cells, whether monocrystalline or polycrystalline; cutting it up into wafers; making solar cells using the wafers and finally making solar panels and modules using the cells. The first two stages are not carried out in India at all - even domestic solar manufacturers import solar wafers. At present it makes little sense for Indian solar developers to buy local products, since imported ones are not only 8-10 per cent cheaper, but also technologically more advanced. Sheer economies of scale, alongside a 17 per cent export benefit the Chinese government provides its solar manufacturers, make it near-impossible for Indian ones to compete with them. The US and European Union have levied anti-dumping duties on Chinese solar products, but India has refrained from doing so, since that would promptly increase the cost of solar panels and in turn raise solar tariffs. Indeed, India removed anti-dumping duty on solar panels in September 2014, which, combined with the solar auction process that it initiated, has seen a steep drop in solar tariffs from Rs 6.93 per kilowatt hour (KWH) to less than Rs 5 per KWH by the end of 2015. Meanwhile, prices of solar panels have tumbled from 150 cents per watt in 2009 to 40 cents at present, largely because of improving efficiency. The lowest tariff so far has been Rs 4.34 per KWH - the price at which Finland-headquartered Fortum won the bid to build a 70-MW solar plant at Bhadla Solar Park in Rajasthan in January this year. Indian manufacturers are unhappy with the auction process, maintaining that progressively falling prices are squeezing their margins and inhibiting them from investing in R&D. They would prefer a levelised tariff set by every state's electricity regulatory commission, as is done in the case of wind energy. The government has sought to help them by conducting special auctions that insist on use of locally manufactured products only (called domestic content requirement auctions) where the winning tariffs have been predictably much higher than in general auctions. But this in turn has drawn the ire of US manufacturers, which complained to the World Trade Organisation (WTO) against India and which in turn the WTO upheld. Though India has appealed against the judgement, it is not clear how much longer DCR auctions can continue. To boost manufacturing, the MNRE and Niti Aayog are in the process of formulating a new solar manufacturing policy. While its details are yet to be announced, it is known that the policy will harp on integrated manufacturing, where all the four processes are carried out by manufacturers in-house. But if domestic players are to compete with their Chinese counterparts, this will call for an investment of around Rs 10,000 crore, which most of the existing manufacturers cannot afford. A number of them are already making losses. For instance, leading manufacturer IndoSolar recorded a net loss of Rs 141.27 crore in 2015/16, and has gone in for debt restructuring. Another, Moser Baer, not only went in for debt restructuring, but is also close to selling off its manufacturing portfolio of around 270 MW to SBI Macquarie Infrastructure, a private equity joint venture of State Bank of India and the Australia-based Macquarie Group. Though the Adani Group, Reliance Industries and SB Cleantech (a joint venture of Japan's SoftBank, Taiwan's Foxconn and India's Bharti Airtel) have spoken of venturing into integrated solar manufacturing, they have made little tangible progress in this direction so far. The only way out lies in greater emphasis on indigenous R&D, which few Indian solar manufacturers have invested in. "We need a multi-pronged approach to bridge the technology gap," says Gyanesh Chaudhury, CEO and MD, Vikram Solar, India's largest manufacturer of solar panels. "The thrust should be on innovation and new technology start-ups. Government and industry should come together to fund large solar R&D projects." Think tanks such as the Bharat Solar Power Development Forum (BSDF) and Centre for Economic Policy Research (CEPR) feel similarly. "There also has to be more focus on training, as well as conducting awareness programmes about solar energy to increase the interest of students, researchers, government officials and new entrants into industry in this segment," says Subhash Sharma, Director, CEPR. Clearly, access to cheap solar technology is in India's interests - it'll help in providing affordable power across the nook and cranny of the country.